This topic contains 85 replies, has 11 voices, and was last updated by anticapitalista Apr 18-2:58 pm. Ok, I am on sid now too. Everything runs fine. But just because of what it was mentioned here my repo-list didn’t have debian sid, it had debian unstable, which is supposed to be the same repository, but for some reason it wouldn work. Switching the term unstable to sid worked. Strange. For years and years unstable and sid were the same exact thing, has anything changed? I was also surprised how quickly and how few pkgs were changed from buster to sid. I thought it was going to be 4 times as big of a change. I wouldn’t use synaptic in sid but I still have yet to locate its problem. I did an update today and tried upgrade and it wanted to bring systemd in and throw away all the good stuff, like eudev, among many other antix things. When I went to the terminal I wanted to see the difference between apt update – upgrade and apt-get dist-upgrade. They both did the right thing, while synaptic using either the default upgrade or the smart-upgrade produces a very different list of things to change. Then I thought renaming debian. unstable to sid may be what is throwing it off. So I renamed it back noticing antix is sid and debian is unstable … and expecting that to make the difference in preference. Nope! Same thing! Then I tried the preferences where it says to choose higher version or specify the name of distribution, and that didn’t work either. I only use synaptic to browse pkgs, descriptions, dependencies, I use terminal to make updates/upgrades. I thought I should bring this up to save someone from making a blind upgrade and break their system. I will investigate some more trying to understand the preference levels set in apt to blend the two repositories. Sid is a different animal as it has single repository instead of 2-3 different ones. You will have to wait until the nosystemd built dbus arrives in the repos. I also noticed the antix script packages blocking systemd and verifying it is not installed. Did you remove it because it should be on all antiX isos from net to core to base and full. Or, do you mean you like the fact that that file exists in order to block systemd? This reply was modified 1 year, 1 month ago by anticapitalista. scratch that, I noticed 2 packages named prevent systemd and systemd must die, I thought they were scripts that prevented the installation of the crap but all they are notes of metapkgs. Ohh well.. I did not attempt to make the upgrade through synaptic, possibly it wouldn’t go through, but just noted what list of things to remove and what to install. And it was a major init replacement job. This reply was modified 1 year, 1 month ago by fungalnet. IMO sid and testing users should only dist-upgrade via the terminal using apt-get and not via sysnaptic. In that way user can clearly see what is going to get upgraded, possibly removed etc. nosystemd dbus now in repos so a dist-upgrade should go through. I agree, and I clearly stated that I only use it to search and view pkgs, and do not rely on it for updates. But this is different from monitoring its behavior if it would be used. For a while I thought that “default” upgrade was apt upgrade and “smart upgrade” was apt-get dist-upgrade, in synaptic. In this case it displayed very different results. Remember you can ask it to mark upgrades without ending up applying, just so you can see the list it produces. The dist-upgrade has to be based on a definition of what your main system and edition is, that is how it screens out what belongs in the distribution and what no longer should be in it. Apt upgrade only looks at higher number/version despite of where they come from. This becomes more complicated when you are basing your system in two different distributions (antix-sid and debian-sid). But the above pattern indicates that synaptic clearly chose debian over antix. Unless my assumptions are wrong, I believe there should be an antix-synaptic edition that always supersedes the debian one and it is set to prefer antix over debian and apply the correct architecture of the distribution. Otherwise as it is this pkg is dangerous, even if it was used to install just one little pkg. With debian it is like a little kid knocking on your door and opening the door when there is a crowd of 50 armed gangsters that come with it. “hey,ya, wanna buy some fschking cookies?” (you can substitute cookies for a gnome gui). Post edited post by Rok. Remember folks. Kids and ladies use AntiX also. 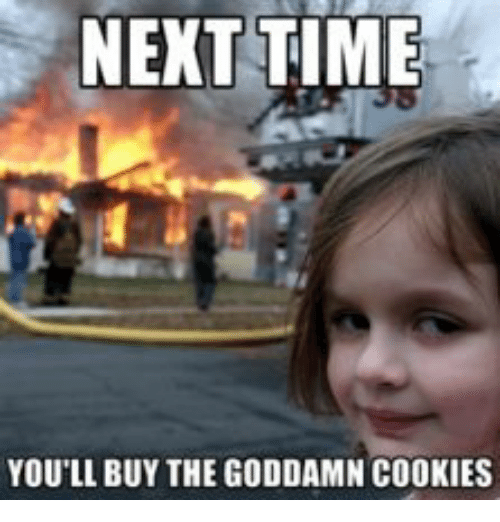 (you can substitute cookies for a gnome gui). Thank you for that:) This reminded me of the gaggle of girl scouts out in front of the grocery store yesterday. They all screamed”wanna buy some girl scout cookies?” I replied, “are they made out of real girl scouts?” Probably not the first time you’ve heard that, but the expression on their faces was priceless. As far as I know using apt-get dist-upgrade will follow the same rules concerning packages regardless of where it it called from. The problem with synaptic is two fold ( or ten). first, you have no real control over the upgrade, unable to easily see to remove or add packages you may think are missing, or could be useful,let alone gain control of the terminal as you watch it pull in the 182 other packages while you weren’t paying attention. The other problem is more of a user thing where people get into the preferences and choose to make all “recommends” or even all “suggested”, a default for install. Either of these will surely mess up your system sooner rather than later. This being said, having a graphical interface when browsing packages still appeals to me years later and I do use it to search sometimes. 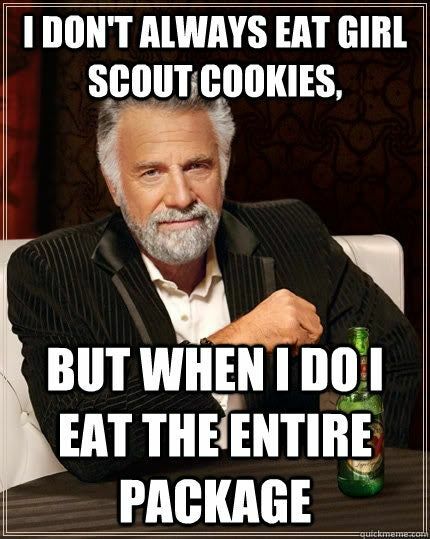 Here is one of my favorites about girl scouts. I updated dbus and conky now works, should it be related? Now I am happy with it. This just happened now, any ideas? PS. My granddaughter knows I am a easy mark when it comes to her and girl scout cookies. and preferring packages with higher priority. Smart Upgrade has the same effect as the apt-get dist-upgrade tool on the command line. depends on not installed packages or coflicts with an already installed package, it will not be upgraded. Dist-upgrade is the default upgrade method used by Synaptic. dist-upgrade can be quite dangerous. Unlike apt-get upgrade, it may remove packages to resolve complex dependency situations. Unlike you, APT isn’t always smart enough to know whether these additions and removals could wreak havoc. learning a bit more about APT and resolving the dependency issues “by hand” by installing and removing packages on a case-by-case basis. Think of it like fixing a car… if you have time and are handy with a wrench, you’ll get some peace of mind by reading up and doing the repair yourself. If you’re feeling lucky, you can drop your car off with your cousin dist-upgrade and hope she knows her stuff. This reply was modified 1 year, 1 month ago by skidoo.